Serviced Offices for Rent in Block 5. Block 5. 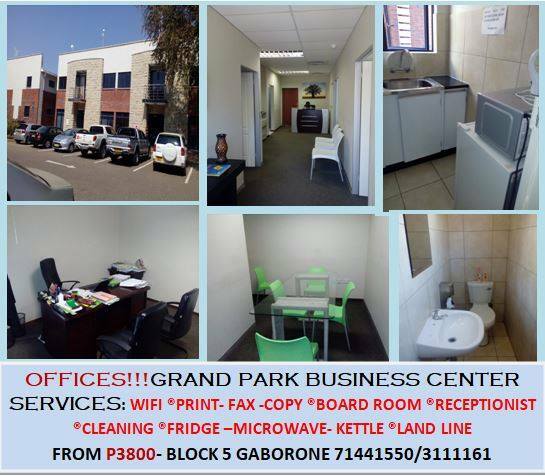 Serviced Offices to Rent. Grand Park Business Centre. Serviced offices from P3,800 per month. Wifi, printing, fax, copying available on site. Kindly quote reference IPC 119.